An essential volume of Napoleon’s wisdom on the art of war. Nearly two hundred years after his death, Napoleon remains widely regarded as one of the greatest military commanders of all time. Here, in one volume, is the essence of Napoleon’s knowledge and wisdom, the fruit of his practical experience, and his study of the great empire-builders from Alexander to Frederick the Great. Working from the best among previous editions of Napoleon’s maxims, including the work produced in 1901 by William E. Cairnes, noted Napoleonic historian David G. Chandler has contributed commentary that examines Napoleon’s work from the twentieth-century perspective of the two world wars, Vietnam, and other conflicts, and analyzes the ways in which commanders have observed or failed to observe Napoleon’s teachings. 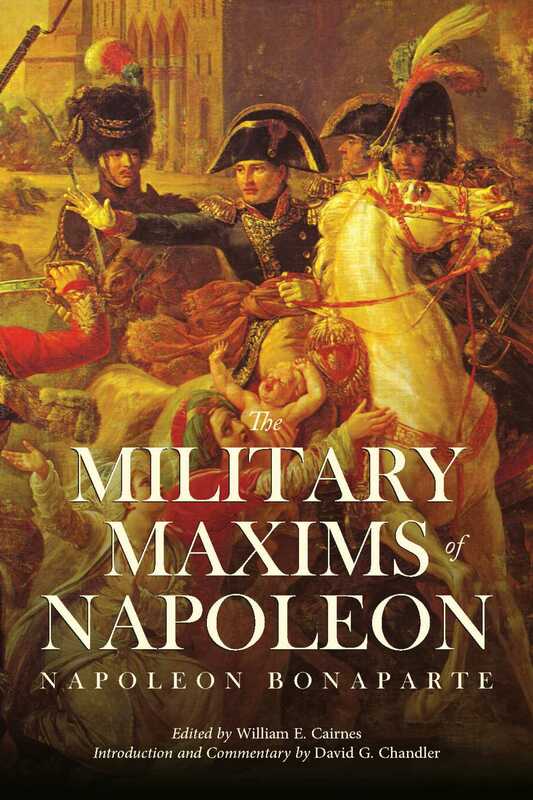 The Military Maxims of Napoleon is a unique collection of tenets on the art of war. They reveal the principles on which his military, diplomatic, and political triumphs were built. Now every military student and enthusiast can benefit from the brilliance of Napoleonic insight and wisdom.